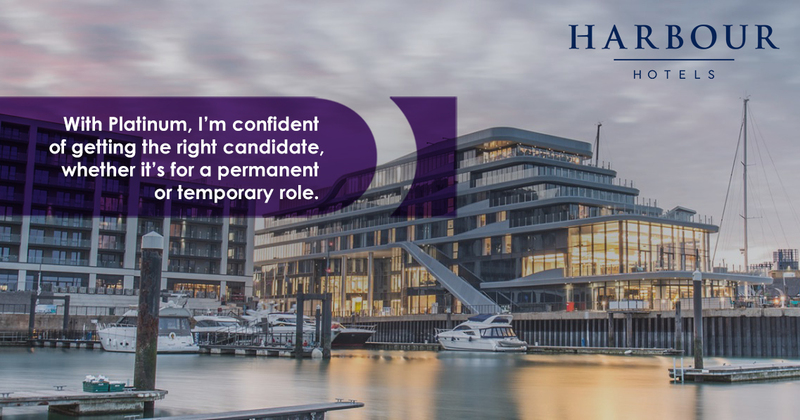 Our top hospitality recruiters have expertise and in-depth knowledge to ensure we find the right job for you and help you progress your career. We pride ourselves on our valued relationships with some of the best hotels and restaurants in the industry. As a niche hospitality recruitment agency, we can provide our candidates with high demand opportunities which are not available anywhere else. At Platinum Recruitment, we have an expert division dedicated to various areas of the food and hospitality industry. If you are searching for a hotel job in Southampton, we often have hotel receptionist, night manager, and general manager vacancies for awarding winning 4-5* hotels across the UK. Platinum Recruitment partner with some of the UK’s finest Michelin restaurants. Whether you are looking for a waitress, bar or chef job in Southampton, we can place either temporary or permanent positions. What our Hospitality clients in Southampton say about us….